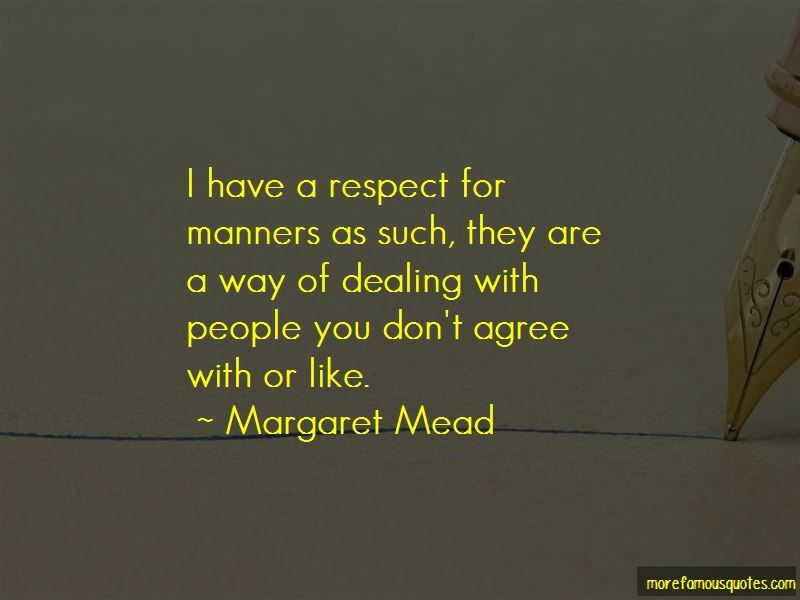 Enjoy reading and share 31 famous quotes about Manners And Respect with everyone. “In editing a volume of Washington's private letters for the Long Island Historical Society, I have been much impressed by indications that this great historic personality represented the Liberal religious tendency of his time. That tendency was to respect religious organizations as part of the social order, which required some minister to visit the sick, bury the dead, and perform marriages. 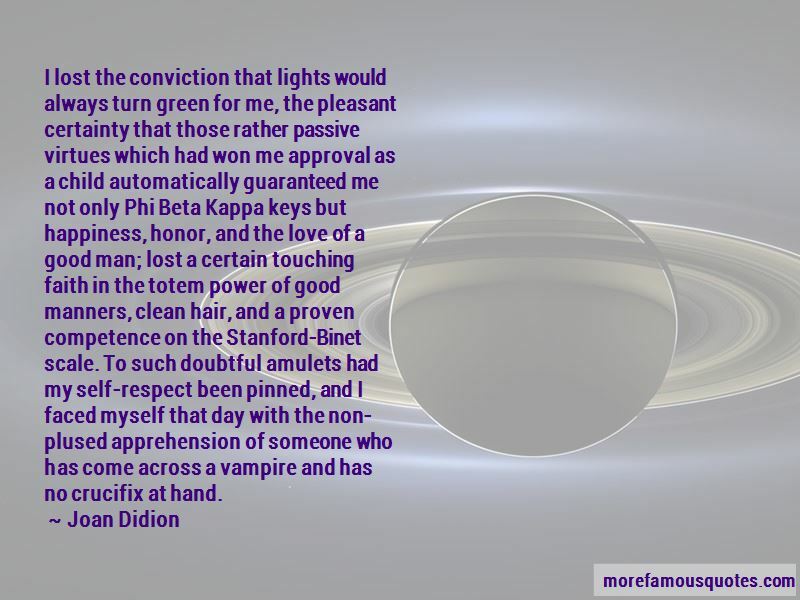 It was considered in nowise inconsistent with disbelief of the clergyman's doctrines to contribute to his support, or even to be a vestryman in his church. Washington had in his library the writings of Paine, Priestley, Voltaire, Frederick the Great, and other heretical works. “There are several kinds of love. One is a selfish, mean, grasping, egotistical thing which uses love for self-importance. This is the ugly and crippling kind. The other is an outpouring of everything good in you - of kindness and consideration and respect - not only the social respect of manners but the greater respect which is recognition of another person as unique and valuable. The first kind can make you sick and small and weak but the second can release in you strength, and courage and goodness and even wisdom you didn't know you had. “First-if you are in love-that's a good thing-that's about the best thing that can happen to anyone. Don't let anyone make it small or light to you. “I suppose." Mousefur sniffed. "No doubt it'll be up to me to teach them manners. Kits nowadays don't know how to show any respect." Jayfeather's whiskers twitched with amusement. 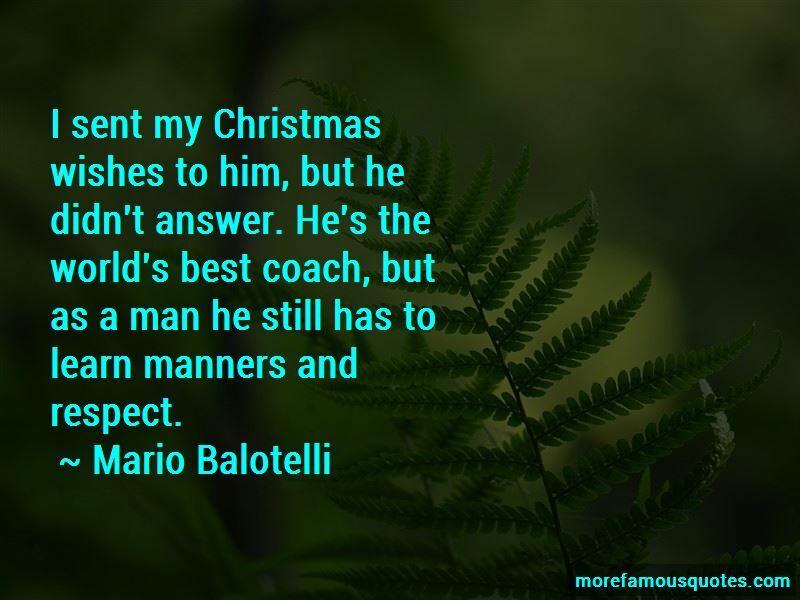 Want to see more pictures of Manners And Respect quotes? 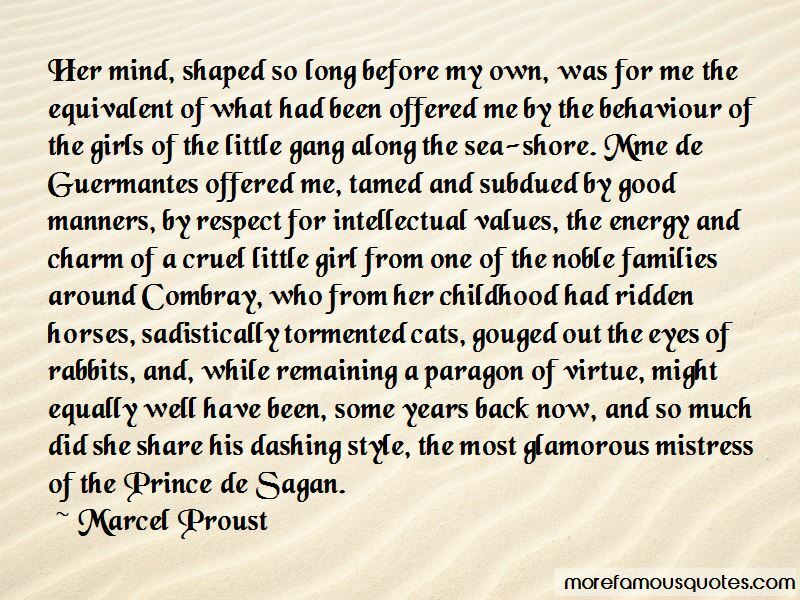 Click on image of Manners And Respect quotes to view full size.